In this persuasive talk, Nicole Gurran explains why wealthy nations like Australia face crisis levels of housing inequality. She argues that the solutions lie in a rebuild of social housing, innovative ownership and tenure models, inclusive planning, and investment in regional communities. Instead of a renovation reality TV show about happy couples revamping homes for a quick dollar on a fast flip, Gurran pitches a program that redesigns the housing system in favour of first home buyers and lower income renters. Nicole Gurran is an urban planner and policy analyst whose research focuses on comparative urban planning systems and approaches to housing and ecological sustainability. Nicole’s current research examines affordable rental supply, informal housing provision, and the impacts of online holiday rental platforms for local communities. She has led and collaborated on a series of studies on aspects of urban policy, housing, sustainability and planning. 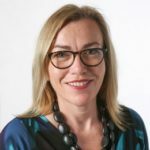 She is a Professor of Urban and Regional Planning at The University of Sydney, where she leads Urban Housing Lab@Sydney and directs the University’s Australian Housing and Urban Research Institute.